If you have recently decided it’s time to give your child the gift of enrolling them in dance classes at Dance Obsession Dance Studio, it’s likely that you are trying to figure out everything you need to get done before the scheduled time of the first class. Your child is probably already very excited and ready to get into the studio, which is one of our favorite things about having someone join a new class. Not only does it lead to a new enthusiasm in the studio, but it also is the beginning stage of many budding friendships. If you are ready to prepare for your child’s first dance class, we know you probably have a ton of questions running through your head. Don’t worry, however. We here, at Dance Obsession, want to make this a great first experience for both you and your child. Continue reading below to find the answers to the questions you may have been asking yourself regarding your child’s first class in studio. The dress code in place at Dance Obsession is put in place for the uniformity and the safety of our students. When your child arrives for class, their hair should be pulled back off the face. Students should also wear tights and a leotard. They can choose whether or not they want to wear dance skirts/shorts or leggings as well. We also allow for our students to wear black or white shirts, so long as they are form-fitting in all classes besides ballet. For specific information about ballet class dress codes, you can refer to our detailed outline here. Additionally, the appropriate shoes should also be worn to class. We recommend that all baggy clothing and jewelry are left at home, as there is the chance for the student to be injured if they are wearing it. Can you watch your child’s class? While you are welcome to stick around for your child’s class, not all classes are able to be observed because of their size. Please direct any questions about observing dance classes to our staff. When should you arrive with your child at class? Please do not drop your child off any more than 10 minutes before class begins. This gives your child enough time to use the restroom, if needed, as well as visit with their dance class friends before instruction begins. Are there rules in the dance classes? The expectations that are set in our dance classes are very similar to those at your child’s school. 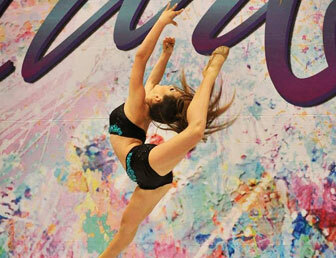 We expect for our dancers to be respectful of themselves, their teachers, and their peers. If this one rule is followed, there is little need for any other rules to be put into place. 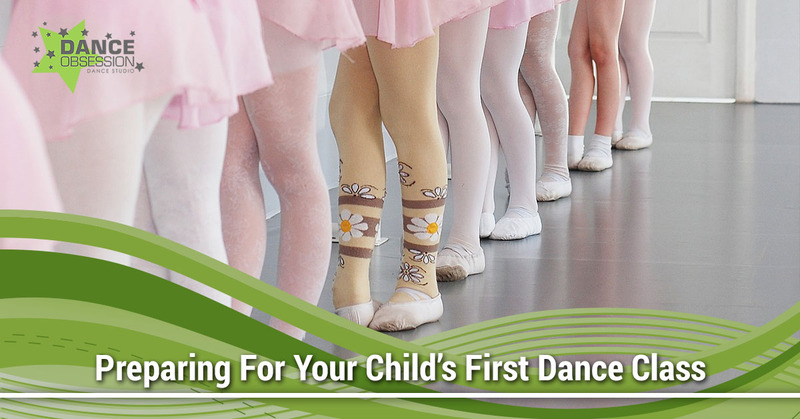 We would simply suggest that you let your child know what to expect before the beginning of their first dance class. This will help your kid to feel more comfortable when they do arrive to the dance studio. Let them know where you will be during their class, what their teachers are going to expect of them, and what they are going to be doing during class. This will make the transition into this new hobby much easier and stress-free. If you have any questions or concerns about your child’s first dance class, feel free to reach out to us here at Dance Obsession Dance Studio. We would be happy to answer any questions you may have about what a class entails or how to prepare your little one for this exciting new adventure!